Mr. Barlow sends his congratulations on Miss Berry winning the Pictorial Review Award. 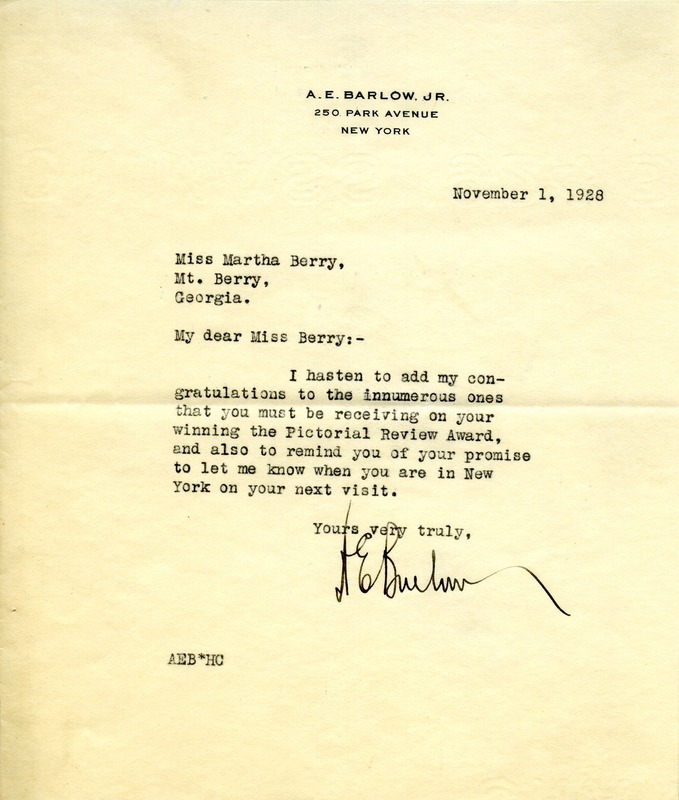 Mr. A. E. Barlow Jr.
Mr. A. E. Barlow Jr., “Letter to Martha Berry from A.E. Barlow, Jr.” Martha Berry Digital Archive. Eds. Schlitz, Stephanie A., Rachel Renaud, et al. Mount Berry: Berry College, 2012. accessed April 25, 2019, https://mbda.berry.edu/items/show/8684.